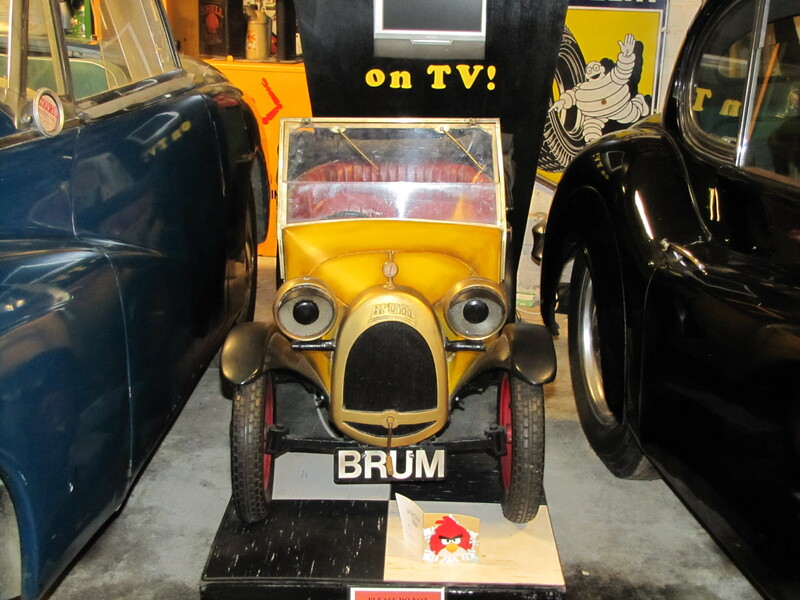 Hello, my name is Brum, I have four wheels, I’m yellow and red and live in the Cotswold Motoring Museum: I’m a bit of an international TV star. I was on children’s TV in the UK between 1991 and 2002, programmes about me are often repeated and children get very excited when they see me here in the museum. I live in the Mill Gallery at the museum, squashed in between a lovely XK140 Jaguar and a Sunbeam Alpine. I may be small but I see everything that goes on and I will be writing about this over the coming months. The museum is closed at the moment but that doesn’t mean all is quiet. All those jobs that cannot be done when the museum is full of visitors have to be finished before we open again on 14th February. Along with builders, electricians and tree pruners, the Friends of the Museum were here yesterday and drew the winner of our 2014 raffle. The lucky lady lives in South Wales and she and a partner will enjoy a weekend of their choice with a classic sports car, bed & breakfast and Sunday lunch in the Cotswolds. What a prize!